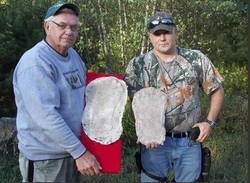 Can two casts of footprints prove the existence of a living biological being roaming the forests of upstate New York? We were the first anywhere to broadcast this photo. This interesting photo was captured on September 1st, 2010 in rural Vermont, and has been the subject of debate ever since. 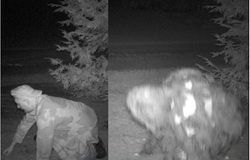 Read Squatchdetective.com's analysis and ongoing investigation. Founder, Steve Kulls was first to investigate this interesting piece of video. 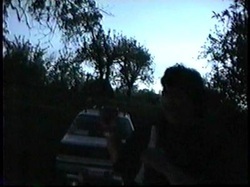 Video accidentally taken in May 1997, by campers at a private lake. The video itself wasn't discovered until late 2002, some five years after it was taken. Read Squatchdetective.com's analysis and enhancements of this amazing video.